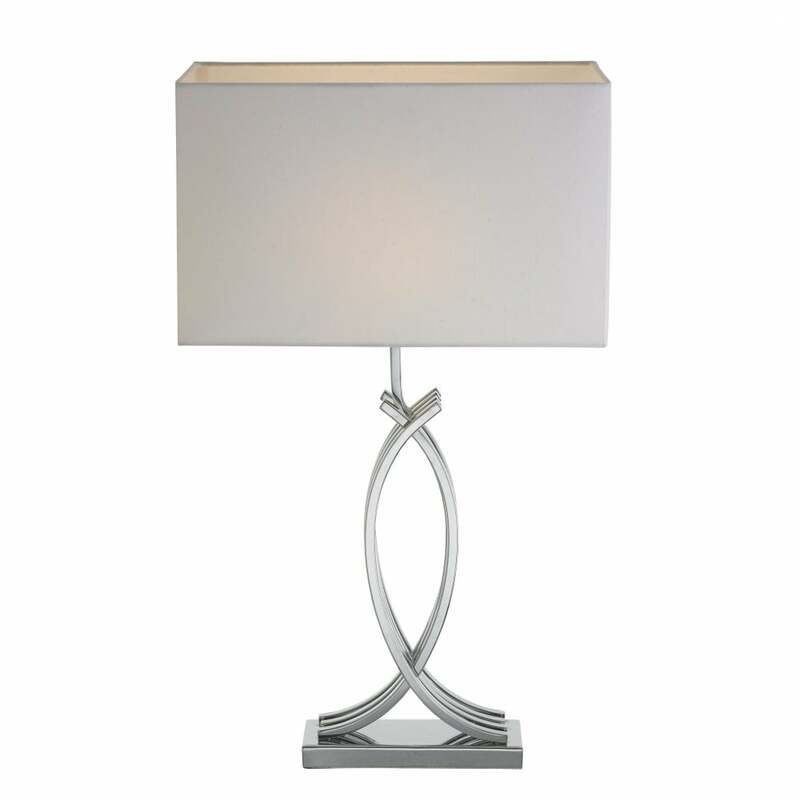 Create a sophisticated interior scheme with the Coco Table Lamp by RV Astley. The polished chrome base and elegant shaping takes inspiration from luxury home décor. The intricate, curved design is complemented by an off-white lamp shade that sits slightly off kilter to the base. Playing with angles and proportions, this versatile table lamp will bring class and sophistication to both traditional and contemporary homes. Style within a neutral colour scheme of cream, grey and taupe for a timeless interior scheme. Get in touch with our team of experts for more advice and information.